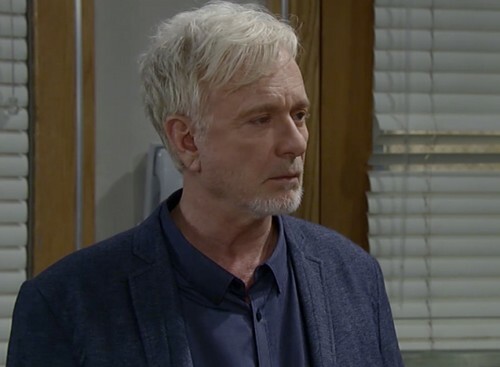 General Hospital fans have been on the edge of their seats for months now waiting for the identity of Fake Luke to be revealed and GH spoilers explaining who the imposter is. If you are one of those fans, then don’t hold your breath, according to General Hospital spoilers you are going to have a long wait ahead of you. After Fake Luke ordered Julian to frame Ric Lansing, Anna staged Ric’s death and placed him in the Witness Protection program. Anna implied that Ric could return to Port Charles and reveal he is very much alive once the PCPD is able to bring down Julian’s boss. So, the fact that Ric is “off the canvas for the forseeable future” implies that Julian’s boss won’t be taken down anytime soon. With Ric not returning any time soon that means that tensions between Molly and her Mom Alexis will continue and there is a good chance Elizabeth could wind up back with Nikolas Cassadine. What do you think about the recent developments in the Fake Luke storyline? Will you miss Anthony Geary and Rick Hearst? Let us know what you think in the comment section below and don’t forget to check CDL for more General Hospital spoilers tomorrow.